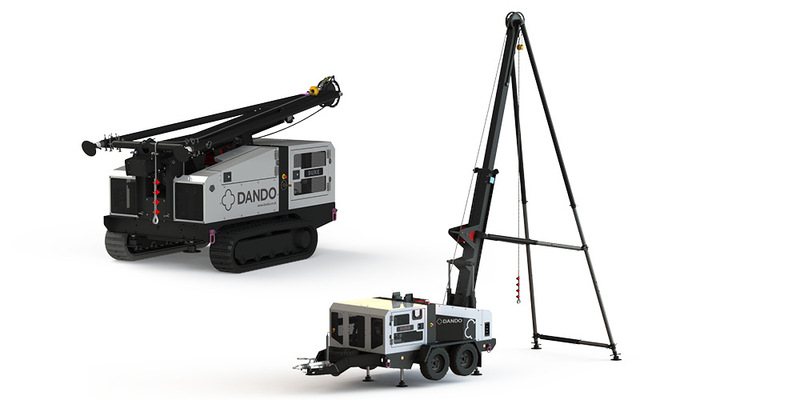 Available in both trailer and track mounted versions, the new cutting edge Dando Duke cable percussion drilling rig boasts a range of innovative features for increased efficiency and productivity. 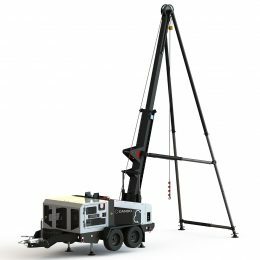 Driven by a water cooled diesel engine, the rig’s hydraulically operated telescopic mast allows for a very fast and easy setup. 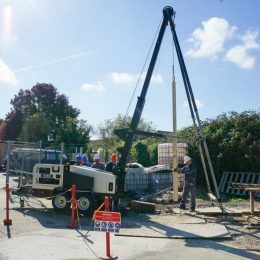 It also permits a variety of mast heights should drilling be required in areas of restricted head room, while the small overall footprint and trailer mounted design means it can be easily towed behind a regular pickup truck or van. 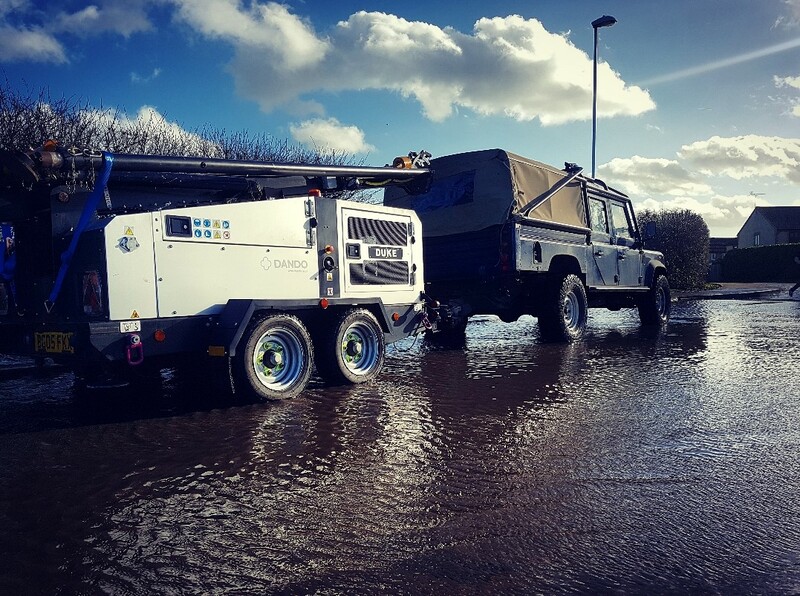 Other features include hydraulically powered stabilisers, a pneumatically operated brake and clutch system, and a new 2 speed winch design offering impressive speed and pulling power. 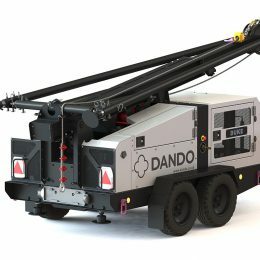 With an integral PTO, Dando’s separate casing jacks can easily be coupled up to pull stuck casing. 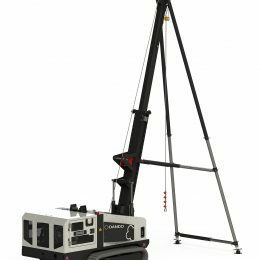 When faced with difficult working conditions, levelling of the rig is made easy thanks to the four hydraulic stabilising jacks. 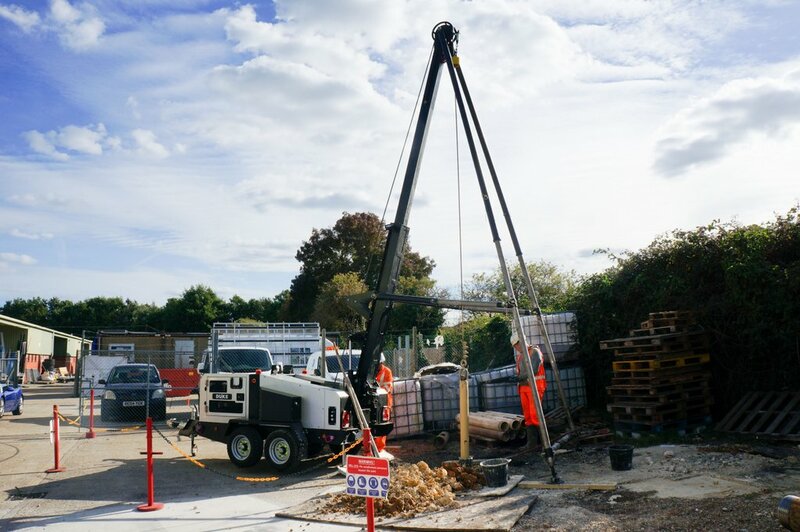 Another particularly useful feature on this ground-breaking cable percussion rig is a built-in compressor and external hydraulic power take off which facilitate the quick connection of a variety of equipment including air tools, road breakers, hydraulic SPT hammers and casing jacks. *Please request a copy of our terms and conditions if required. 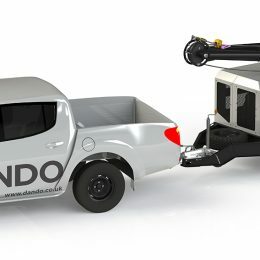 The Duke is available in both trailer and track mounted versions. 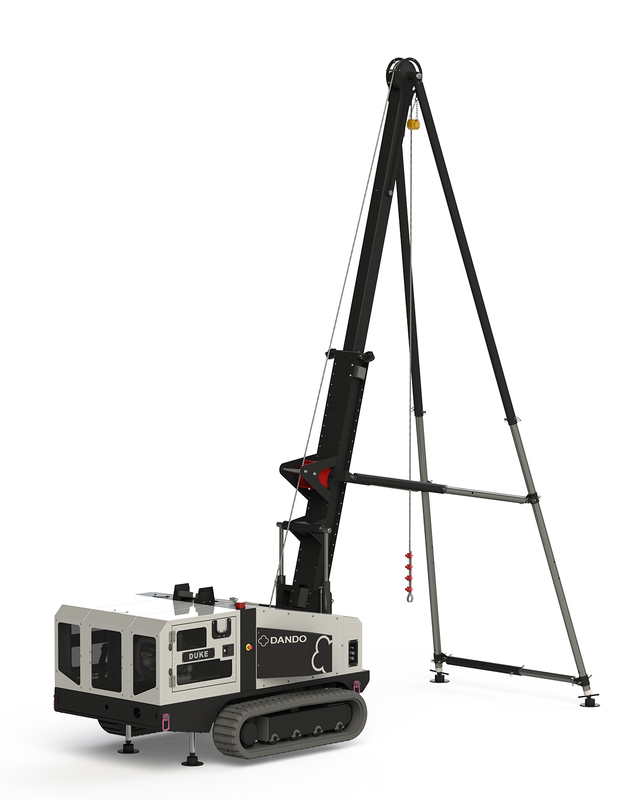 Mounted on a heavy duty twin axle trailer with built in lights, the Duke can be easily towed behind a regular pickup truck or van for easy transportation between sites. 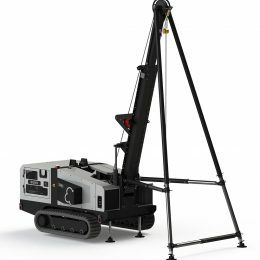 Alternatively the Duke is available mounted on heavy duty tracks fitted with 2 speed tracking motors and the option of radio remote control or umbilical tracking.. 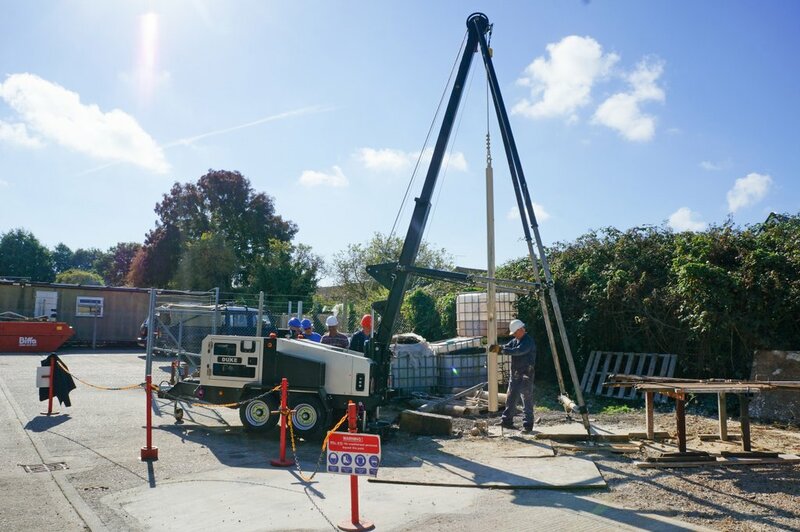 The mast has a large hydraulic ram built into the main mast body which allows it to extend to a maximum working height of 5.5m and a lower height of 4m. 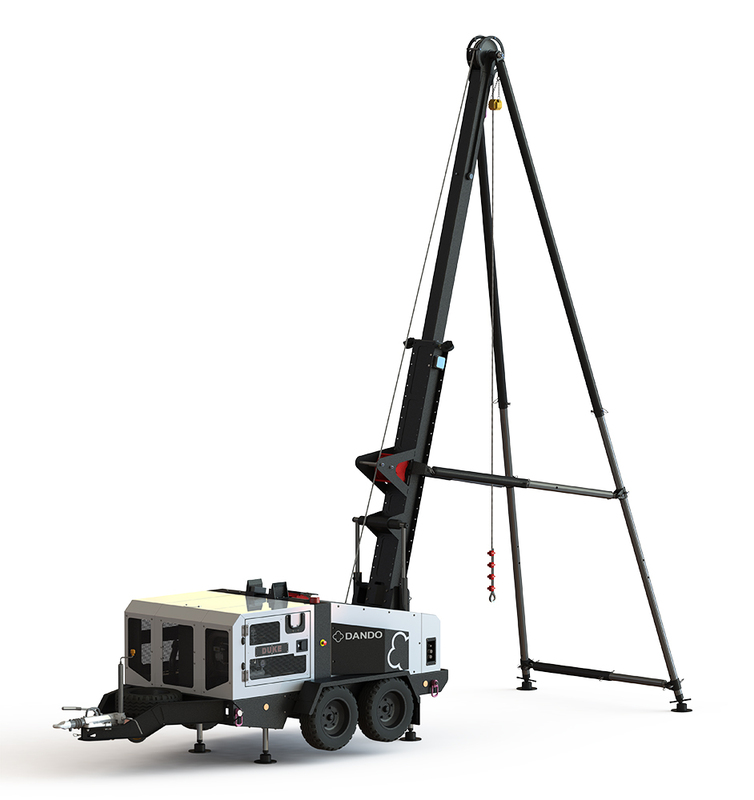 The stainless steel support legs are also telescopic which allow the rig to be used in areas of restricted head room. 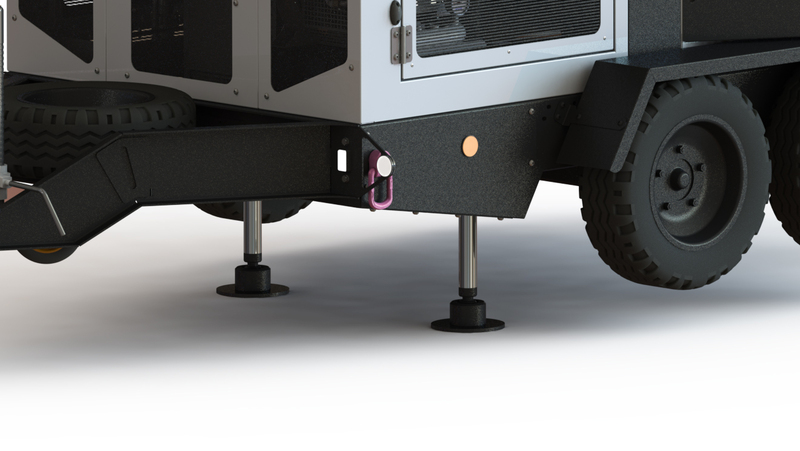 There is no longer the need for the supports to be “walked around” into position therefore greatly reducing setup space. 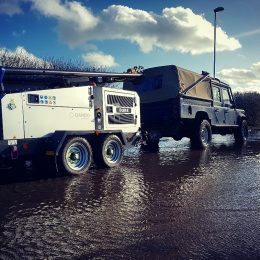 Driven by a water cooled modern diesel engine, hydraulic pumps provide hydraulic power to stabilisers, mast, PTO and an infinitely variable winch which offers impressive speed and pulling power. 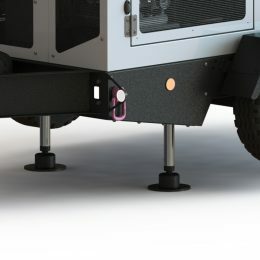 The brake and clutch are pneumatically operated. 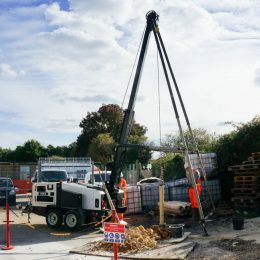 An 8m recoil air hose with 1/4” quick connect is fitted inside the rig for use with air tools and tyre inflation equipment. 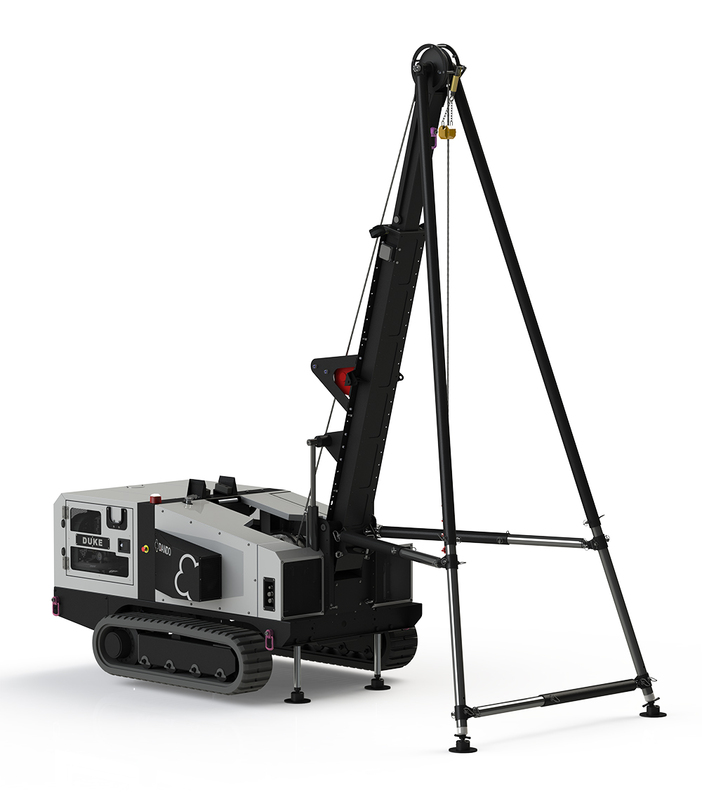 When faced with uneven terrain, levelling of the rig is made easy thanks to four hydraulic stabilising jacks. 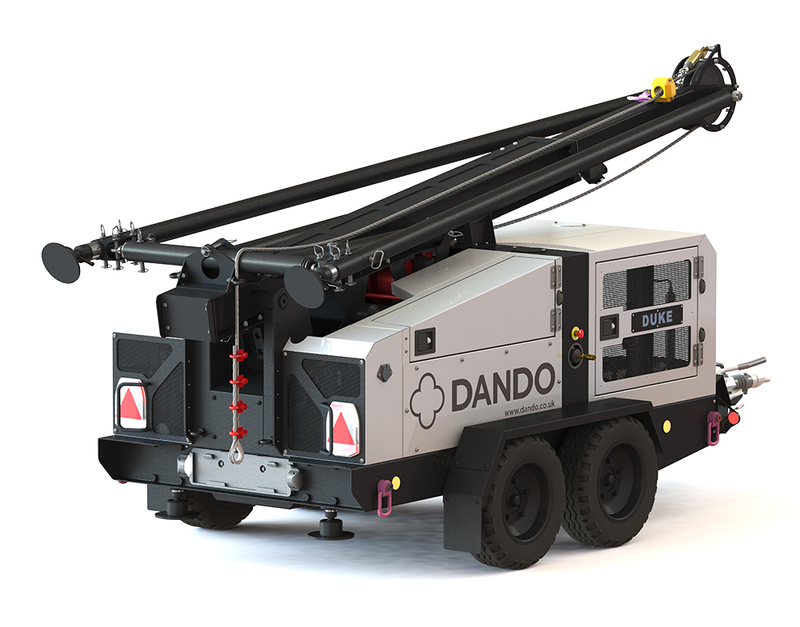 With a PTO, Dando’s separate casing jacks can easily be coupled up to pull stuck casing. Hydraulically driven single cylinder air compressor with automatic start/stop. An 8m recoil air hose with 1/4” quick connect is fitted inside the rig for use with air tools and tyre inflation equipment. Please request a copy of out terms and conditions if required.